Microsoft created the cross platform web stack ASP.NET Core. It is able to run cross platform CLR as well as CoreCLR. Based on the existing .NET agent Dynatrace has become compatible with the new CoreCLR on Windows. Linux and other platforms are also supported by the .NET Core integration in Dynatrace. These systems offer new opportunities for hosting .NET Core services. The world of Microsoft has changed tremendously with the implementation of the open-source and cross-platform .NET. To optimize the performance of .NET technologies Dynatrace allows you to monitor your applications in production. Since .NET Core code is portable and reusable across all major platforms, this technology is becoming more and more relevant for software development. ASP.NET Core 2.0 APIs make it easier to manage service architectures. Also building service architectures from scratch becomes simpler with .NET Core. This is why Dynatrace worked on support for the possibility of auto-instrumented .NET Core monitoring and .NET Core performance optimization. What&apos;s included in .NET Core monitoring? Start monitoring .NET Core with Dynatrace today! Dynatrace helps you to locate bottlenecks and potential issues in your application code in minutes. With .NET Core performance monitoring digging deeply into your applications is possible. Dynatrace .NET application performance monitoring helps you identify hotspots at code level, network bottlenecks, or problematic methods. 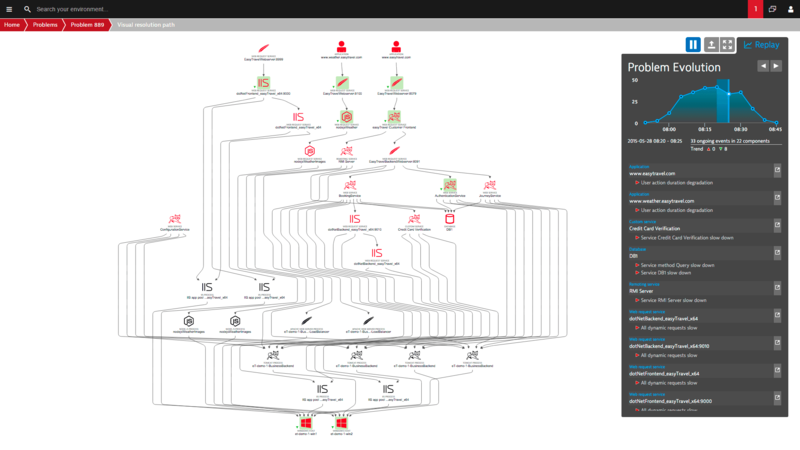 Dynatrace .NET Core monitoring helps you detect and analyze problems in real time. You can pinpoint the root cause down to the offending code before the digital experience of your customers is affected. You can find detailed and setup information regarding .NET core monitoring in our blog. .NET Core is a software framework that is open-source and arranged as cross-platform technology. Similarities to .NET Framework are given, but .NET Core consists of CoreCLR which manages the execution of .NET programs. 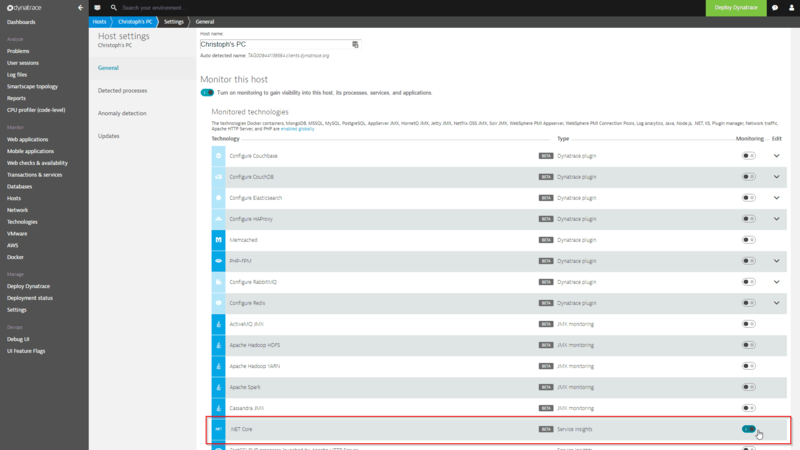 Dynatrace gives the option to monitor and analyze the activity of any .NET Core framework. All relevant metrics can be optimized in their performance by the given information. 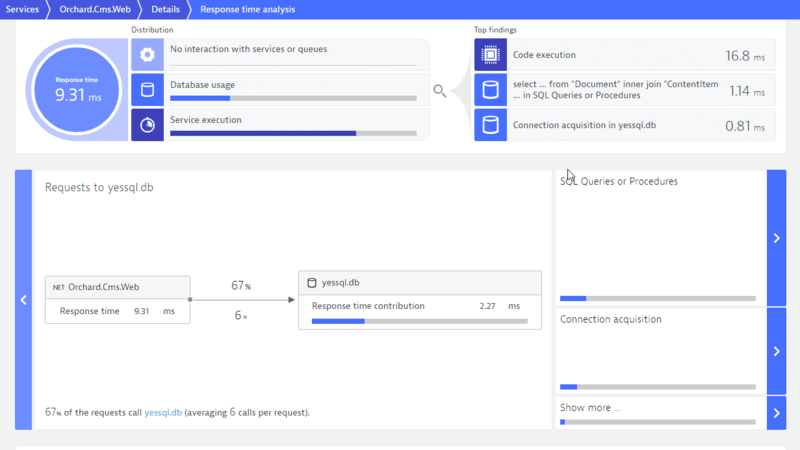 From code level down to individual database statements, Dynatrace can help you with .NET Core performance monitoring easily. Since .NET Core is sharing a subset of .NET Framework APIs, it is not part of the the latter. However, .NET Core has its own API which allows Dynatrace being optimized for seamless compatibility. .NET Core monitoring made easy with Dynatrace!